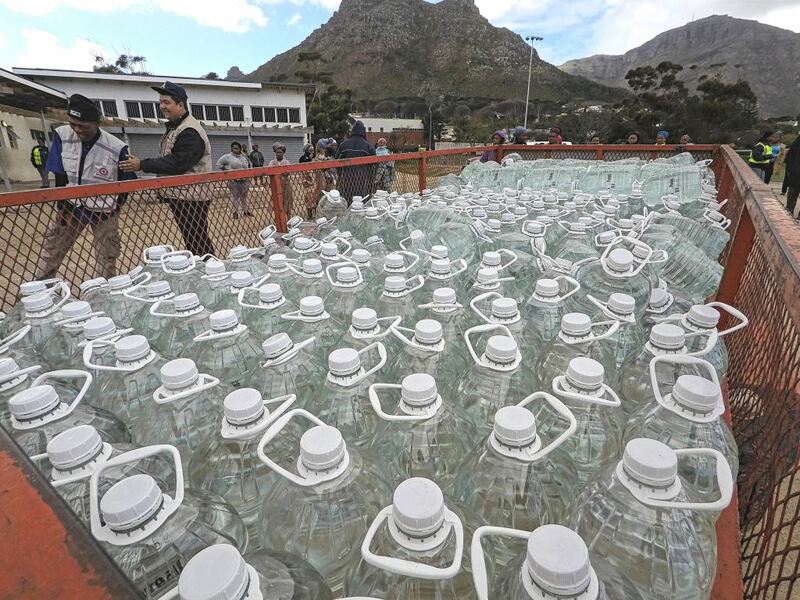 Over 50 000 litres of water were handed over to residents in the impoverished area of Imizamo Yethu in the Western Cape suburb of Hout Bay. The Western Cape is facing an unprecedented water crisis. The project was driven by the FleetBoard division of Daimler Trucks & Buses with financial contributions from Mercedes-Benz Financial Services and Mercedes-Benz Vans, as well as logistical support from the South African Red Cross Society. The trucking industry is truly a beacon of light, hope and encouragement in the stormy sea of South Africa that has become heavily polluted with the mountains of garbage constantly and irresponsibly disposed of from the luxury-liner called ‘The State’. There are many on board that ship who dine daily with the Captain and his close circle of friends enjoying the multiple luxuries of their 5-Star cruise without any thought given to how the garbage they create is disposed of – or its adverse effects on the surrounding sea. They also give no thought to those working in the cabins or the engine room way below the fancy suites and dining areas of the privileged few. Yet it is these hard-working people who are trying their best to keep the ship well-oiled and moving through the stormy and polluted sea; to prevent it stalling and being caught up in the mountainous waves that threaten to topple it. The conversation around the Captain’s table does not pay any heed to those working in the cabins or the engine room. They are cosy in their opulence. In fact, they do not even see the danger of any storms that may lie ahead. The Captain himself is unaware for he is never found on the upper deck reading the weather charts and working with his team to steer the ship away from any pending storms so that all the on ship – including the ‘workers’ – can sail forward safely. I think of the convoys of trucks that have hauled cattle feed to farmers who are suffering under severe drought conditions – and hauled it for free. I think of the FleetBoard division of Daimler Trucks & Buses which helped to supply 50 000 litres of water to people in the impoverished area of Imizamo Yethu in the Western Cape suburb of Hout Bay – for free. I think of all the truckers who, some months ago, came to the aid of those who had lost all in the Knysna fires by hauling donated goods from all corners of South Africa – for free. I think of the on-going support of Imperial Logistics for the nurse-owned and operated Unjani Clinics which are serving to alleviate congestion in South Africa’s stretched and under resourced public healthcare system. I think of our partners in the FleetWatch Brake & Tyre Watch project who, without wanting anything in return, continue to promote road safety through the training of traffic officials around the country on ‘things trucking’. I think of our truck operators who, working to small margins, continue hauling the goods of South Africa against really rough odds. I think of the thousands of truck drivers who spend enormous amounts of time away from homes and families as they haul 24/7 to all corners of South Africa ensuring that when consumers visits their stores, there are goods on the shelves. I think of the OEM manufacturers who continue to promote and believe in the future of South Africa with investments into new products and facilities that ensure the wheels of the economy keep rolling economically and efficiently. 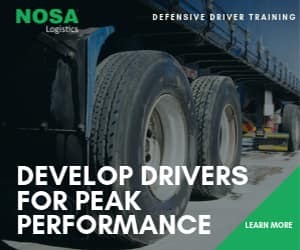 There are so many other examples of where members of the trucking industry have come to the aid of those working in the cabins and engine rooms of South Africa – and who continue to act in the belief that South Africa has a bright future. FleetWatch believes in highlighting these examples for there are many people I speak to who are finding it difficult to keep their hopes up; who are despairing in the face of the constant barrage of headlines dominated by stories of corruption, State capture, manipulated tenders, wasteful expenditure, increasing crime and so on. Given this, it is refreshing and encouraging to remind oneself that there are still those who care about the country as a whole rather than merely their own self-vested interests. 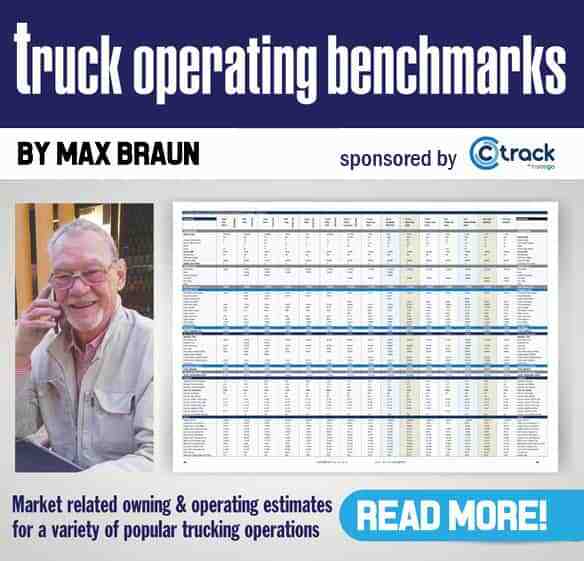 Certainly the trucking sector is not without its problems – unroadworthy trucks, untrained drivers, low margins, and others – but in the main, it is a sector which constantly sends out a positive message of hope that one must go forward in the face of adversity. As such, it is an industry sector of which I am enormously proud to be a part of and which I salute every day.